General questions or requests should be submitted through the form below. If you have a specific program question or would like to submit a Record Book electronically, please contact your state’s Program Manager directly. The Congressional Award National Office is located in Washington, DC. Office hours are Monday – Friday, 9:00 a.m. – 5:00 p.m. EST. The following states fall within the Northern Region. If you currently reside in any state or territory listed below, please contact Bethie Woodall, North Program Manager. 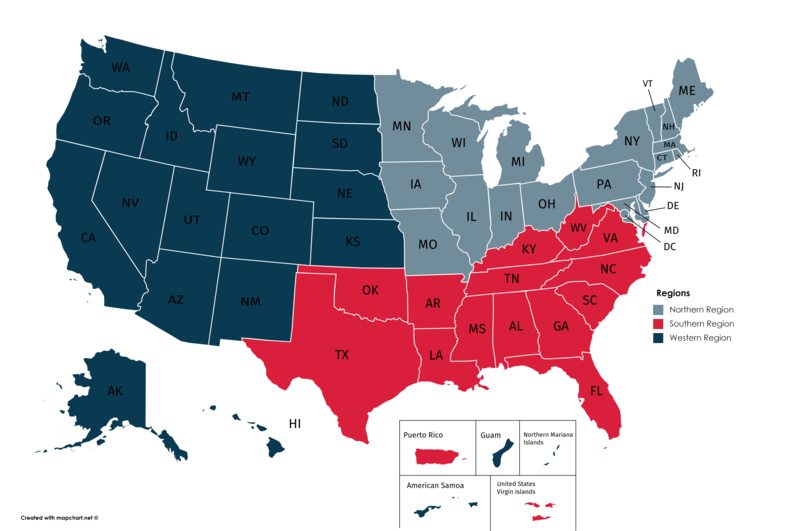 The following states fall within the Southern Region. If you currently reside in any state or territory listed below, please contact Matt Tick, South Program Manager. The following states fall within the Western Region. If you currently reside in any state or territory listed below, please contact Molly Geiser, Senior Program Manager. Want to get involved with The Congressional Award? Have a general question? Explore our Frequently Asked Questions. Need a Record Book? Download the printable PDF or writable PDF.